The D2™ is the leading visual motor and neuro-cognitive rehabilitation and sports training device used by Occupational, Physical, and Speech Therapists, Neurologists, Athletic Trainers, Coaches, and tactical professionals. Users benefit from better decision making and concentration under stress. Pediatric and Senior Care facilities have programs to improve cognitive processing ability, balance, and functional mobility. 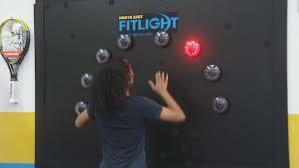 The FITLIGHT Trainer system is a unique wireless reaction training system comprised of LED powered lights controlled by a tablet. The lights are used as targets for the user to deactivate, and can be adapted and configured for all training regimes. This training system is designed to capture human performance, targeting reaction time, speed, agility, coordination – all measured for immediate performance feedback. The FITLIGHT Trainer™ system is expandable to 12-lights. 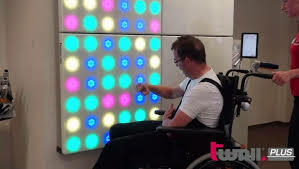 Myro is an interactive therapy surface which can be used in a multitude of ways: the Myro sensors allow everyday life motor training with real objects on a responsive surface. Myro supports task-oriented rehabilitation with real objects, trains everyday movements and improves the patient’s motor abilities. 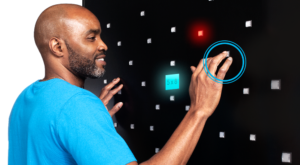 Myro also offers a multitude of neurocognitive modules, which can be completed either alone or in multiplayer mode. Therapy with Myro never gets boring. 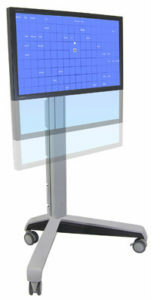 Using a 50” touch screen monitor, the SVI is designed to improve visual abilities for a wide range of patients with visually-related learning problems, amblyopia, and traumatic brain injury. 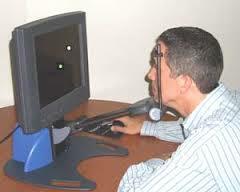 It is also very effective for sports vision enhancement work with athletes. The Vision Coach is a dynamic, state-of-the-art interactive system designed to promote and enhance visual function, muscular coordination and neuromotor abilities. 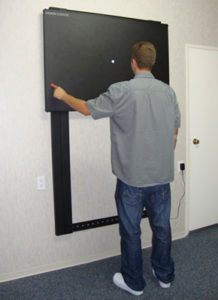 The large interactive light board measuring 50″ x 34″ and is attached to a counter weight wall mounted slider with 48″ of travel allowing for effortless height adjustment from floor to ceiling. No external connections are required, the USB port offers future program upgrades and data collection, and an Alphanumeric LED display positioned in the upper right corner shows programs selected, times, scores and late scores before and after each trial. VRT is designed to strengthen the visual information processing of residual neuronal structures that have survived following acute lesions of the nervous system resulting from trauma, stroke, inflammation, or elective surgery for removal of brain tumors. By repeated activation through the course of the therapy, patients use the program to train and improve their impaired visual functions, and thus regain useful vision in the area of the visual field deficit. 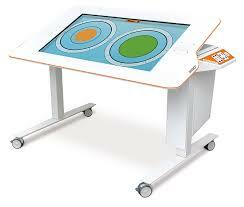 The Twall is a premier gaming and entertainment device due to its intuitive handling and ease of use. Easily programmable for a very wide range of applications.